Iran and Bosnia and Herzegovina have signed a memorandum of understanding (MoU) on the promotion of business cooperation and mutual investment. 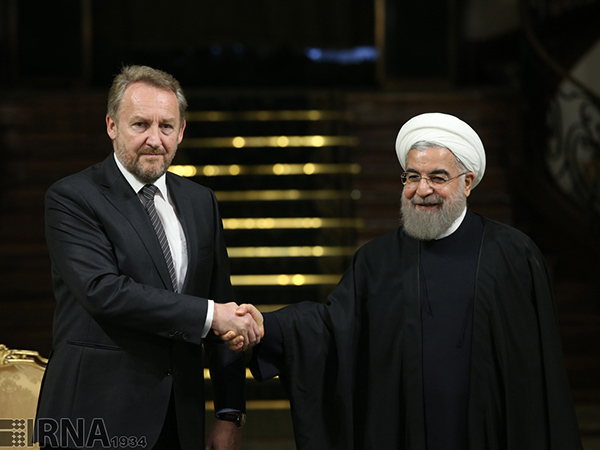 The document was signed by the countries’ officials in the presence of Iranian President Hassan Rouhani and the visiting chairman of the Presidency of Bosnia and Herzegovina, Bakir Izetbegović, during a ceremony at Tehran’s Sadabad Complex on Tuesday. It envisages the expansion of cooperation among the countries’ enterprises and industrial parks. The Bosnian statesman arrived in the Iranian capital earlier in the day at the head of a high-ranking political, economic, and cultural delegation on a four-day visit. Rouhani said during the ceremony that, ever since Bosnia’s independence from the Socialist Federal Republic of Yugoslavia in 1992, Iran and Bosnia have maintained favorable bilateral relations. He said there was peaceful coexistence among Muslims, Serbs, and Croats in the European country, which could function as a proper basis for peace and security there. A joint commission to be held in the Bosnian capital of Sarajevo in December is to examine and finalize the list of the areas of cooperation between the two countries, the Iranian chief executive said.